Monday’s introduction of the zone aims to reduce toxic air pollution and protect public health, according to a press release from the office of Sadiq Khan, Mayor of London. Vehicles are responsible for around half of harmful nitrogen oxide (NOx) air emissions in the British capital, contributing to a toxic air health crisis that increases the risk of asthma, cancer and dementia as well as causing thousands of premature deaths every year, the release says. Under new rules introduced April 8, polluting vehicles will be discouraged from entering the ULEZ thanks to a daily charge of £12.50 (around $16) for some cars, vans and motorbikes and £100 ($130) for trucks, buses and coaches. The zone will cover the same area as the existing Congestion Charge — collected from drivers in the city center — until 2021, when it will be expanded to cover the area between the major orbital roads known as the North and South Circular. The ULEZ is the next stage in a plan to clean up London’s air, which started with the so-called T-charge — an extra charge for highly polluting vehicles in the city center — introduced in February 2017. Since then, the number of vehicles entering the zone has fallen by around 11,000 per day, according to official figures, and there has been a 55% increase in emissions-compliant vehicles in the zone. As things stand, some 2 million Londoners live in areas where nitrogen dioxide levels are above legal limits set by the European Union. However, these measures will ensure that air pollution will meet legal requirements in six years, according to an analysis by academics at King’s College London. The toxic air health crisis causes thousands of premature deaths per year, the Mayor of London said. “Air pollution can have major health implications on the developing child, with early exposure proven to increase the risk of asthma and lung infections, and these can be life-threatening,” said Professor Jonathan Grigg of the Royal College of Pediatrics and Child Health in the press release. 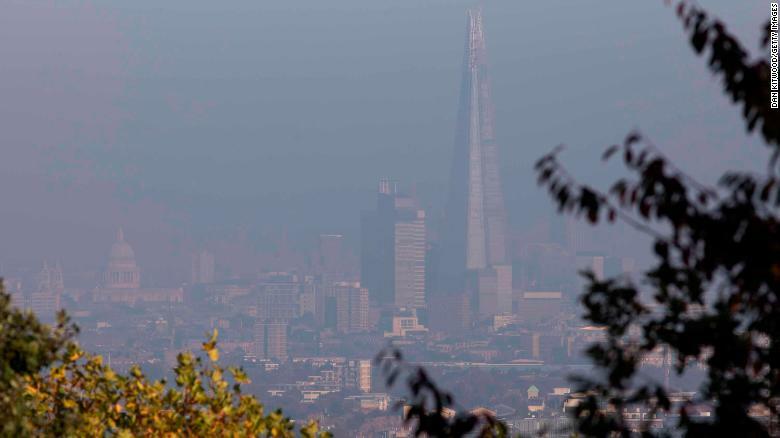 And Daniela Fecht — a lecturer in geospatial health at Imperial College London, who worked on a study looking at asthma and air pollution in the city on behalf of the Greater London Authority — told CNN the ULEZ is expected to bring benefits, but results should be closely monitored. “The ULEZ is a very good initiative which is needed to bring down traffic-related air pollution levels in London,” Fecht said in an email. New York City Mayor Bill de Blasio and New York State Governor Andrew Cuomo are also working on a congestion pricing model that aims to reduce traffic and fund improvements to the Metropolitan Transportation Authority (MTA) public transportation network. Details were announced in late February.